Our cutting board is strong, durable, and made from 100% antimicrobial bamboo. The best cutting board that will not dull your knives. Easy to clean and maintain - Use hot water and soap to wash, then let the cutting board air dry. Easier to wash than a wood cutting board and safer than plastic. Natural and Eco-friendly - Bamboo products are made from 100% high quality recyclable moso bamboo. 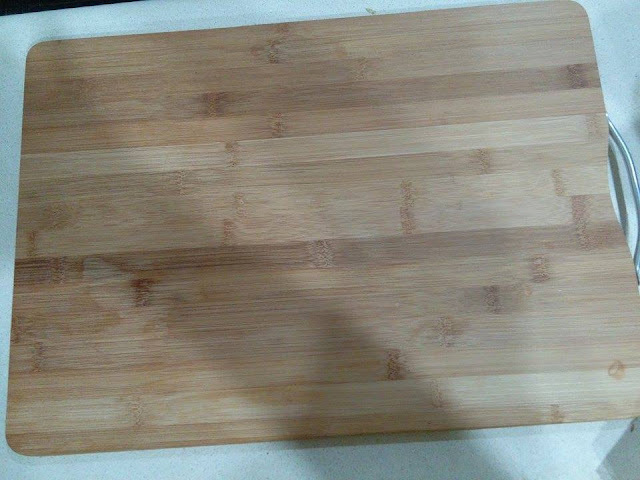 Seamless surface means 0 glue on surface and 0 formaldehyde contact with food; no any coating or dyes or any chemicals on the surface; made of complete natural organic bamboo, so you don't have to eat glue or plastic or chemicals any more! 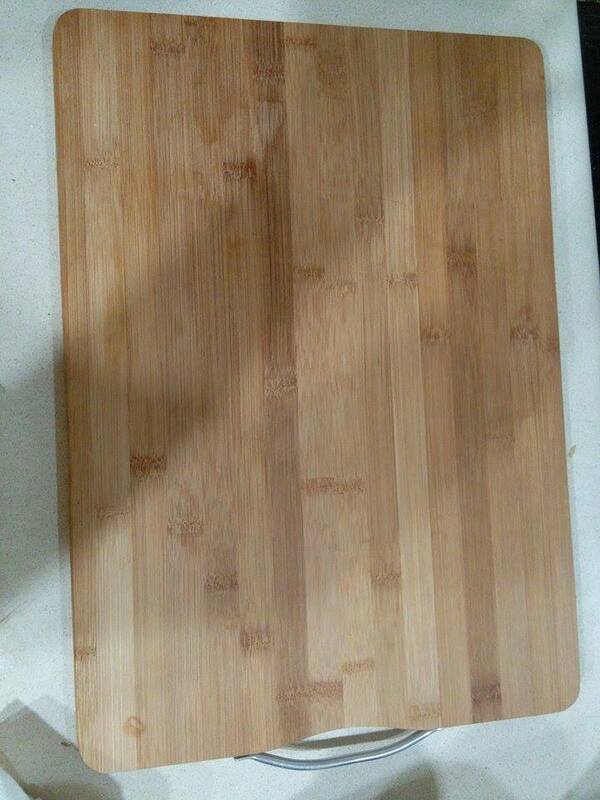 You can enjoy all the other benefits of bamboo cutting boards, like anti bacterials, strong and solid but light, easy on knives, eco-friendly, easy to clean and maintain, etc. So it's best gift for wedding, birthday, anniversary, Thanksgiving, housewarming, Christmas, Mother's day, Father's day, etc. It will handle all your needs, meat or vegetable, cutting or chopping or other heavy duties. 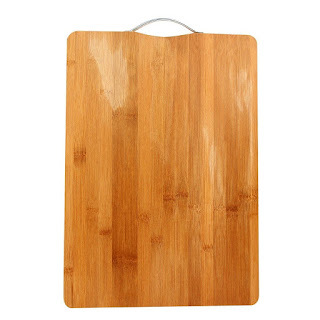 When I am in the kitchen, I love to use bamboo cutting boards and this one is fantastic! I love how big it is. It is big enough to cut and move aside and cut the next ingredient and move to the side, which makes it very convenient for me. It saves me time and space in the kitchen. I also like that the handle is there to make it much easier to carry and I can hang it up to take up less space in the kitchen and it is always ready for me to use again. 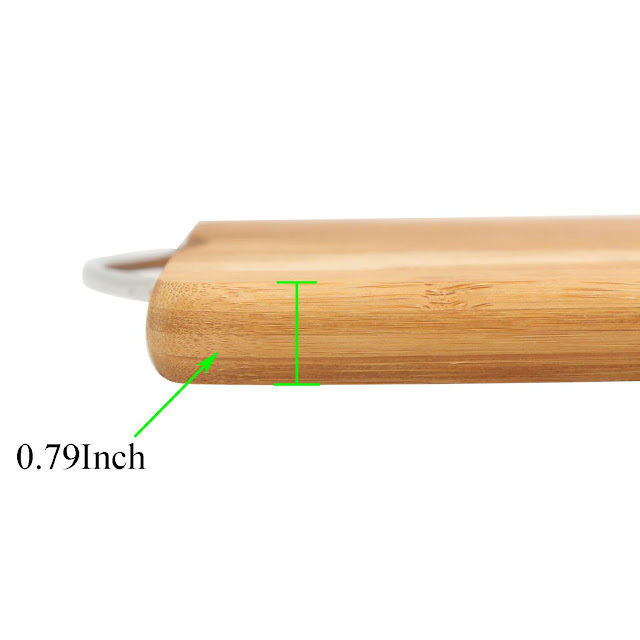 I like that it is bamboo which has less bacteria than other wood cutting boards. I like that it does not dull my knives and it is easily cleaned and dries quickly. 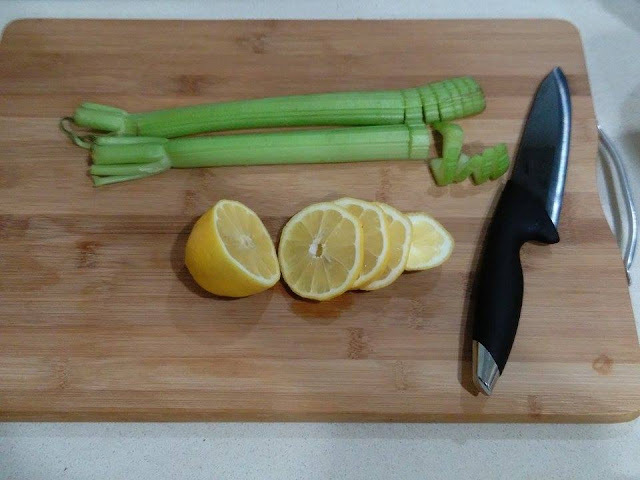 I use it for cutting fruits, veggies and herbs and I also use it to cut up and serve meat and cheese or veggies and fruit. I think it would make a nice addition to any kitchen.